ELLE the EndLess LEarner a suite of language learning games for Virtual Reality (VR), Augmented Reality (AR), mobile, and PC created in collaboration with faculty and staff members from the Office of Instructional Resources, the Center for Humanities and Digital Research, and Modern Languages, Games and Interactive Media, as well as groups of Computer Science students. Designed with the dual purpose of education and research, each game is linked to a database that stores terms and definitions and allows the player to select the level of difficulty and terms, ideal for a midterm review as well as an isolated research study. See what’s been happening lately, and download games at endlesslearner.com! 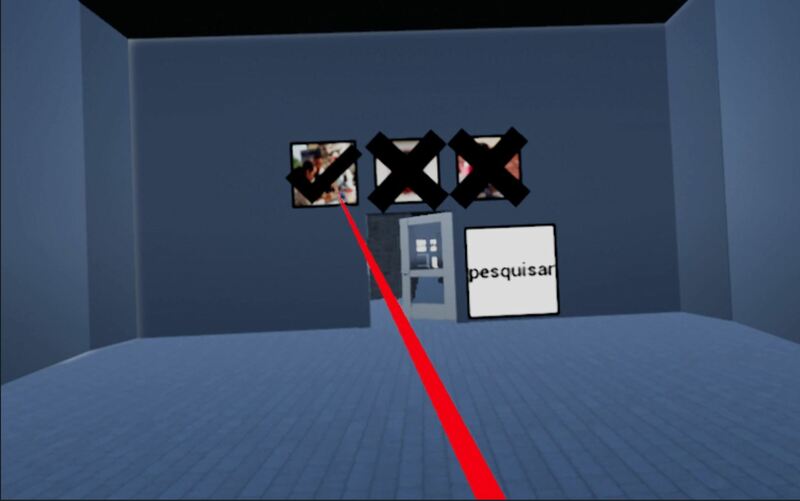 We were awarded internal Quality Enhancement Plan (QEP) funding to add a professionalization pack to the game—Portuguese language students researched job interview questions common to Brazil and Portugal that were then incorporated into the database. 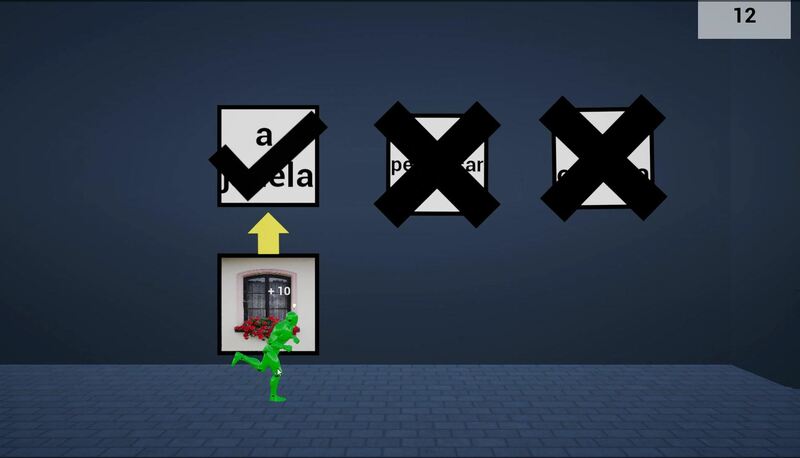 Players can then choose to add this group of questions to their game, augmenting language learning with important professionalization skill practice. 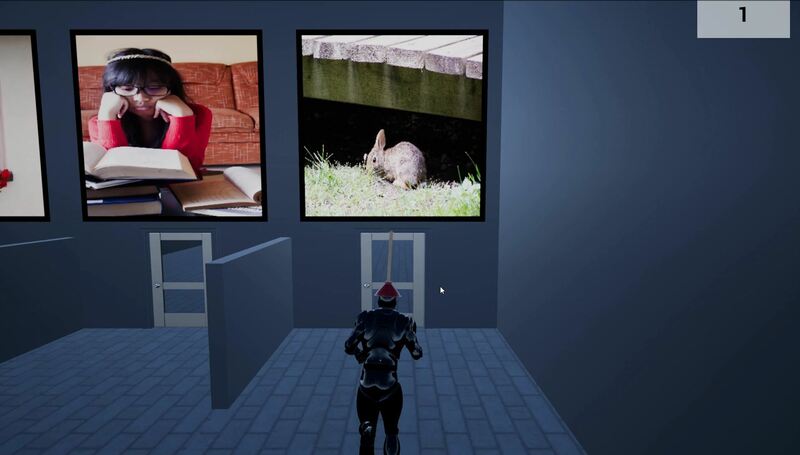 This endless-runner-style language learning game sprung up from a Games Research Group meeting where we watched a demo of the endless-runner in Unreal. After our research team received the honor of first runner-up for an internal grant (but no funding), we pitched the idea to a Computer Science Capstone course and got a top-notch group of students to make it a reality. The first iteration of the project won Best Computer Science Project at the College of Engineering and Computer Science’s Fall 2017 Senior Design Showcase! ELLE 2.0: as seen at Otronicon 2019! UCF QEP (Quality Enhancement Plan) $3,500 grant to improve game aesthetics, include professionalization module, and implement game into Spring 2019 Portuguese language courses. Meet ELLE, the EndLess LEarner!